establishing the basics at this point. I’m trying to make the chamber very sculptured, while keeping the squat cylinder shape. Kind of organic shape… I like it… it remembers me Giger! I like all the swirls and organic-ness of this, can’t wait to see what colors you choose! I agree with the rest here - very nice start! It almost looks like an inbody scenario - like it! Looks nice… Like a bad throat day Shapes are very interesting. What is that small thing flying up there? Sorry dont know every story part. very cool concept. I really like your shapes in the concept. looks like marble carved with water millenia ago. Congrats on a great start. Thanks agian to everyone for your responses. A small sketch of just part of a greater image of the third chamber that I’m working on at the moment. Oh man I LOVE your new concept. There’s so much outstanding art here that I think it takes something with a particularly unique edge to stand out, and this does. I even love it, as an art work, right now how it is. Very… eery. It reminds me of an artwork I studied in highschool, obviously not intently enough because I don’t remember the artist (if anyone knows, please tell me) - it’s a painting of an eery village of sorts, of strange buildings devoid of detail, with a little girl playing with a hoop and an ominous shadow stretching in from the side of the frame. 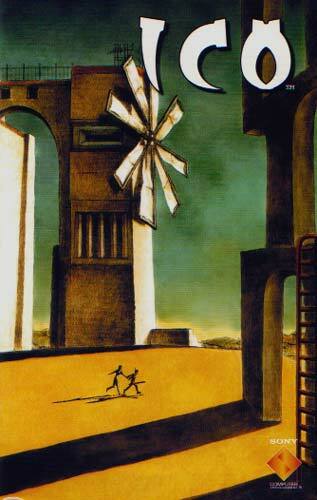 The cover art for the PS2 game “ICO” was also similar. Anyway, sorry to go off topic, but I really adore your latest concept, very much my kind of art! damn! ur concepts are just gonna leave the viewer asking for more! awesome dude! the colour version will be spectacular! im sure of it! good luck to u mate! cheeeeeeeers! The bare bones of the interior of the third chamber, I wanted to keep the water erosion look from my previous sketch, while creating more of a valley. cheers lad! n good luck for da challenge!